Smoque (smoke) BBQ is a neighborhood kind of place that cooks up BBQ good enough to make it a true destination. It was created by five regular guys who happen to be passionate about food in general and BBQ in particular. 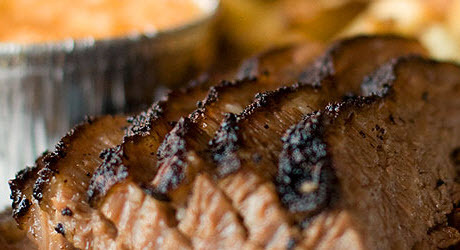 They believe barbecue is at its best when all of its powerful flavors combine and harmonize. The natural flavors of the meat. The savory flavor of hardwood smoke. The spiciness of the rub. The sweetness or pungency of the sauce. When these elements are in balance, you have found BBQ heaven.